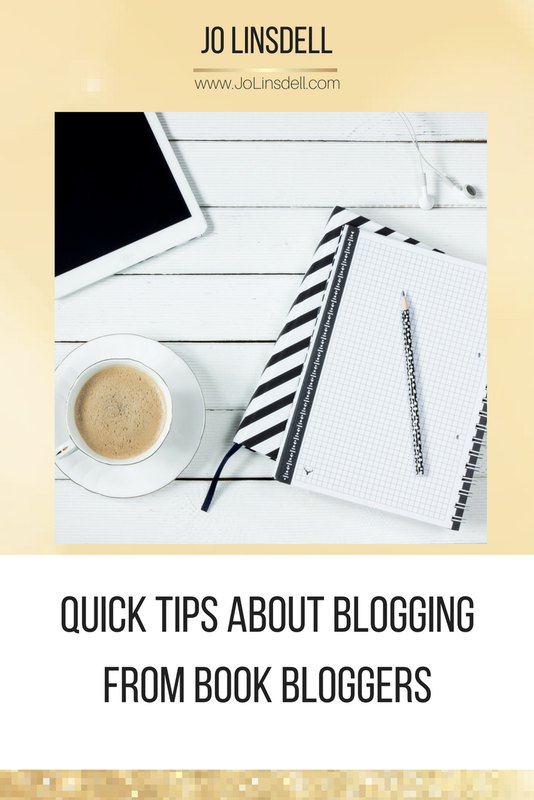 Continuing the series of blog posts about book blogging, today is about sharing quick tips about blogging. I LOVE blogging! It's not always easy though. A lot of work goes into creating, maintaining, and marketing a blog. There are a few things you can do to make it easier though. 1) Become part of the community. There are some seriously awesome book loving people out there, and a lot of them are book bloggers. Reach out and get to know them. Show them support. They will most likely show it back. Whether you're discussing books, or throwing around ideas for new content, these people are a treasure trove and part of what makes being a book blogger so much fun. 2) Always answer when someone leaves a comment. When readers see that you listen to them, they are more likely to join in the conversation... which helps build a stronger readership. You might find you make some awesome new friends this way (I know I have). 3) Create a swipe file. This is basically a brain dump of blog post ideas. Trust me, you'll be glad to have this when you need to pull a post out of nowhere. It's particularly useful when you need to come up with a guest post topic. 4) Guest post. I lead you right into that one didn't I? ;) One of the best ways to drive more traffic to your own blog is by doing a guest post on someone else's blog. You'll get an awesome backlink to your site, and get to connect with a whole new audience. 5) Be you. As Dr. Seuss once said “Today you are You, that is truer than true. There is no one alive who is Youer than You.” Don't feel like you have to do what everyone else is doing. Don't feel like you have to say yes to all books. Have opinions, do what works for you, and have fun with it. "Quick tips about blogging, I actually wrote a blog on this! - Review the book- Make your policies and stand by them"
"It takes up time, more than you think. So make sure to take time for yourself if it becomes too much. I promise all of your loyal followers will still be here for you when you come back. Make blogger friends, trust me they're life savers. Create drafts for your posts. Seriously this one I cannot recommend enough. I have a draft feature for myself on my site, so when an idea strikes I immediately type it out an save it. This way I always have some post in the works if I'm out of material or ideas. And you can add to it easily as ideas come to you. Also don't be afraid to post things that aren't book reviews. Tag posts, favorite lists, discussion posts. That way if you're in a reading slump you still have material." "If you are on WordPress, the support crew are your friends! I have messaged them in the middle of the night just to fix a teensy little issue :)"
"Be very active on Twitter, make friends in the blogging world, join in with tags and posts. " Caseo has an article about blogging that you might find useful too (check it out at https://caseo.ca/how-to-blog/). They include some great apps in the article under the section "content creation tools" that I personally use regularly. Got some of your own tips to share? Ways to Super Charge Your Productivity As A Book Blogger. This is super helpful! Thank you for posting! I love the comments section on blog posts. Some times I learn more from the discussions in the comments than from the article itself. It's also where you really get to know your readers. My pleasure. Glad you found them helpful. Thank you. There are some fabulous tips there and as a new blogger I am still finding my feet. Blogging is a constant learning curve. There's always something new to learn. I love all of these tips! I've been playing with reaching out and seeing if anyone in the mommy blogging community would want to pop over and guest review. Thanks for these! Guest posting is a great way to reach new readers, both when you write for someone else's blog, and when you host other people on yours. I particularly like posts that feature several people as it brings different points of view to the article, and is guaranteed to bring in more traffic too. A definite win. Great tips. Most of the book blogging community are wonderful people that are lovely to get to know - I say most as I've met a few people that are most definitely not nice, which is a shame. There's always a few unfortunately, but the majority are awesome. 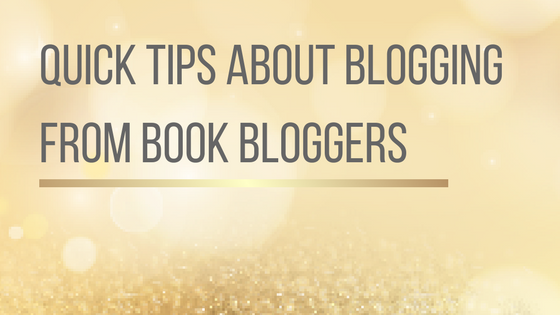 I love this post and the book blogging community! Thanks :) The book blogging community rocks! Your you-ness is the one thing that only you can offer. It's what sets you apart from the masses, and should always be embraced. There are a lot of blogs out there, and new ones being created every second. It's the individual personalities that set each blog apart. These are helpful even for old timers like me. Thanks for doing this series.